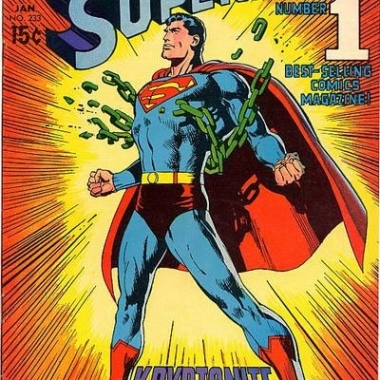 In what universe does Aquaman completely trounce Superman? 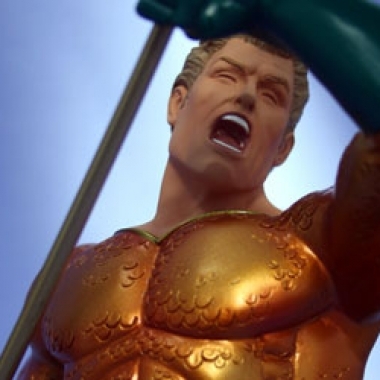 This one, if you're going by the quality of collectible busts in DC Direct's Heroes of the DC Universe series. Mera, the queen of Atlantis, is the newest release in DC Direct's Women of the DC Universe collectible bust series. Here's a look at her, from floaty hair down to tentacles and seafoam. 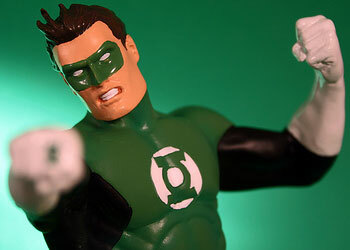 Just a couple of weeks ago I reviewed the Green Lantern bust from DC Direct's new Heroes of the DC Universe line. 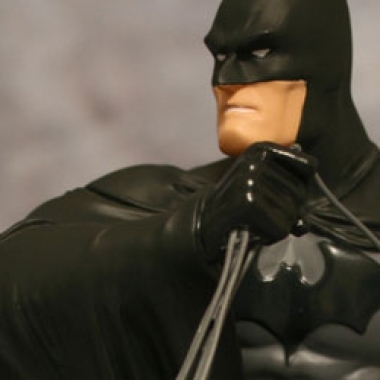 Now the second piece is in stores, and it's none other than the Dark Knight himself, Batman! DC Direct's series of mini busts incorporates its very first male character with the recently released Green Lantern piece. Here's a look at the bust and how it measures up to the rest of the line. 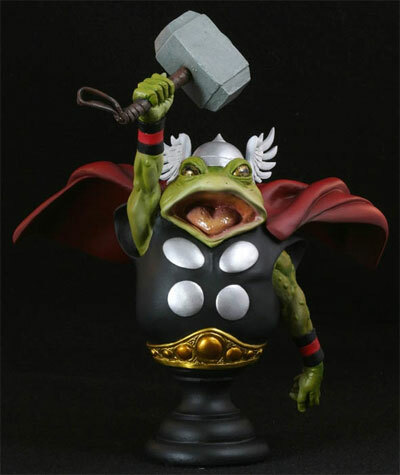 Bowen Designs has announced their newest round of statues and busts in their Marvel Comics license, and the lineup includes... Thor, the Frog of Thunder. 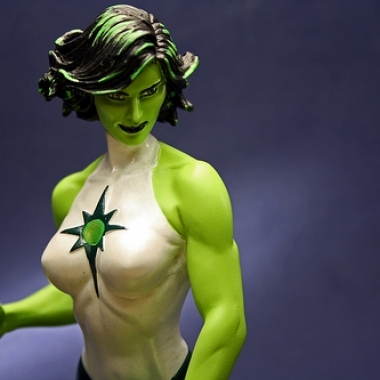 DC Direct's Women of the DC Universe bust series continues this week with the release of Jade. Here's my review with photos. DC Direct continues to roll along with their Women of the DC Universe bust series, spotlighting the heroic and villainous females of DC Comics. 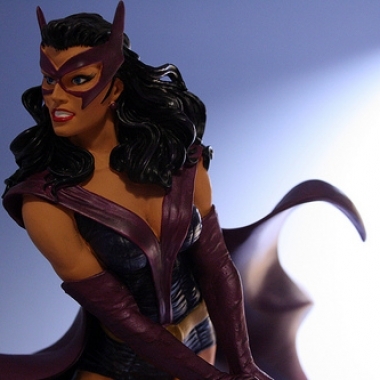 The newest piece released in the line is the Huntress bust, and here's my review. 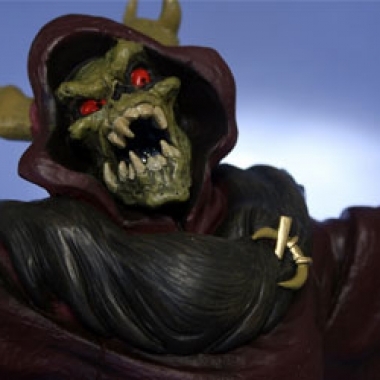 My very first Lord of the Rings bust from Gentle Giant is none other than the big baddie himself, Sauron. 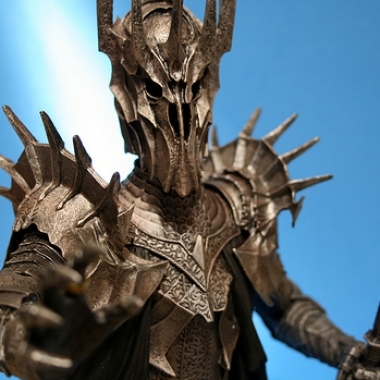 Here's a look at the Sauron Ringbearer bust, complete with photos. I recently reviewed Sideshow Collectibles' 12" Aayla Secura action figure, which failed to impress me on any level. This time I have Gentle Giant's new Aayla Secura bust. How does it measure up to the previous Aayla collectibles? Refreshingly well, actually.